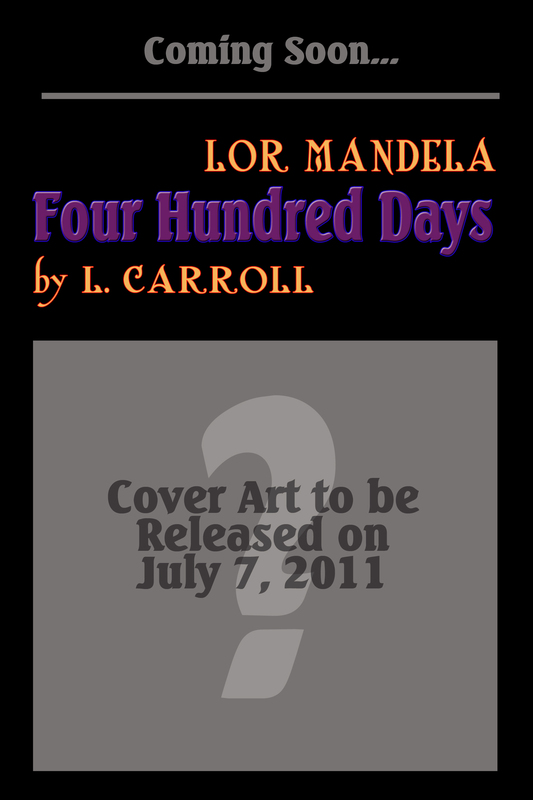 Everyone who has Twitter Tweet this and help spread the word about Lor Mandela-Four Hundred Days the new book by Lisa Carroll! I hope everyone has a good time on tour! This is my first and I'm a little excited. Sure. Book #1 is called Lor Mandela - Destruction from Twins. It's about the dying worldreally be Audril. Suddenly Maggieshe may be the one who has to save Lor Mandela after all. Can you tell readers a bit about your first book? sucked into the whole affair. hair and blue eyes--traits that, on Lor Mandela, are exclusive to Audril's ruling family. The inspiration for the story, in general, was from a wacky dream I had, where a young woman was caught up in a ferocious battle and was, might I add, grossly outnumbered. Destruction from Twins. (Now it's Chapter 16). bunnies, flowers, trees, those craft scissors that cut in squiggly designs, cheesecake…. have to blow something up in my face to get my attention. Lor Mandela - Destruction from Twins, who designed it? DFT. I had a basic idea of what I wanted, but Trisha made it so much better. beautifully it all came together! to increase the number of people who've at least heard of Lor Mandela or L. Carroll. going to bed, eat a little dinner, and then read until I crash--sometime in the wee hours. Occasionally, I'll work in bathing, grooming and saying a quick "Hi!" to my family. Are there any Authors/Books that you like? anyone with the goal of being a professional author. "Keep on writing! Keep on writing!" work that needs to be done and YOU are the only one who can do it." Thanks so much to Lisa! Really appreciate, hope this tour go really good! What did everyone think of the interview? Would you like to to read Lor Mandela? insert name here), "Keep on writing!" 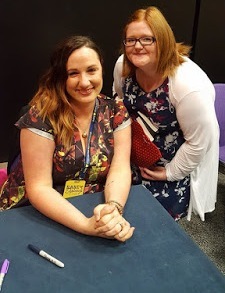 Is there any advice you could give to aspiring authors? Harry Potter books and I've read2012 - The Final Revelation byThe Mists of Blackfen Bog by Court Ellyn. What's a typical writing day like for you?